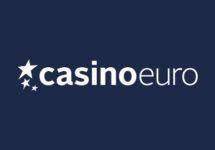 Casino Euro – Win a Formula 1 Experience | Final Days! The exclusive trip to the F1 Grand Prix in Abu Dhabi is still up for grabs! 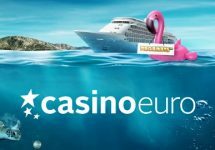 It is going to be a nail-biting last three days at Casino Euro as the main prize of the campaign has not dropped yet. 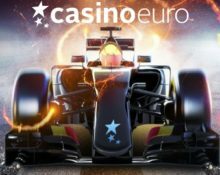 One lucky player will get into pole position to enjoy the F1 season finale live at the 2018 Grand Prix in Abu Dhabi, while eleven runners-up players will win a €500 in bonus money. For that, Casino Euro has turned some of their Play’n GO slots into tournament slots, where any spin can activate a prize drop. Join the ultimate quest at Casino Euro to win an exclusive Formula 1 experience at the season final in Abu Dhabi. 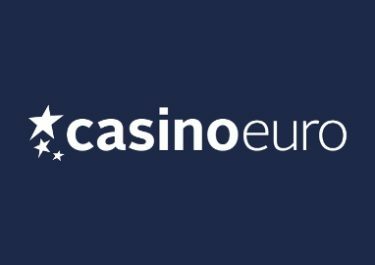 From 19th to 30th September 2018, Casino Euro will be giving away one F1 package plus 11 runners-up prizes worth €500 in bonus money via random prize drops on selected slots. 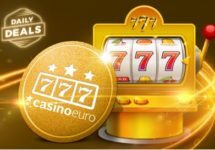 Players have to spin actively with cash funds at any bet size on the eligible games and can trigger a prize drop on any spin. A in-game race tab displays remaining time and prizes. Bonus prizes will be added instantly with a 20x wagering requirement within five days and subject to the Casino Euro bonus terms and conditions. The winner of the main prizes will be contacted within 72 hours and need to confirm within seven days. Prizes, that are not won during the promotional period, will go into a raffle on 1st October 2018. All players, who have wagered minimum €50 on the selected games will be entered into the draw. Terms and conditions apply.